The younger sister, Nathalie, had a wildly creative spirit, love of fashion and talent for working with leather. The streets of Paris were the perfect inspiration for her to refine her design aesthetic and to see first-hand how deeply connected handbags are to a woman’s personal style and everyday life. Her designs quickly took shape. Ninny’s knack for business and management created the ultimate balance. She had a grounding effect, keeping every single detail in order while Nathalie’s creative inspirations took flight. The sisters embarked on their Nat & Nin adventure together in 2005, opening their atelier in the heart of Paris. They were 19 and 25 years old. 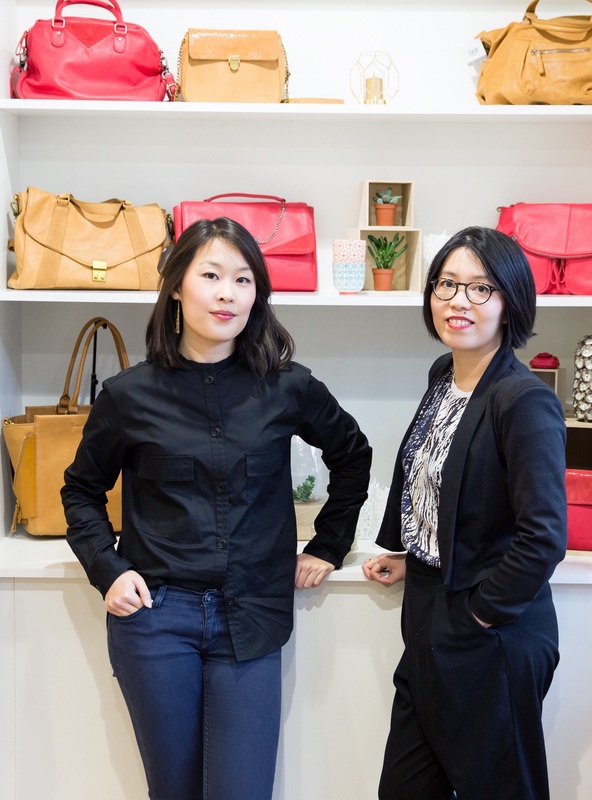 With Nathalie’s creative passion for working with leather matched with Ninny’s business smarts, they ignited the scene with instant success. 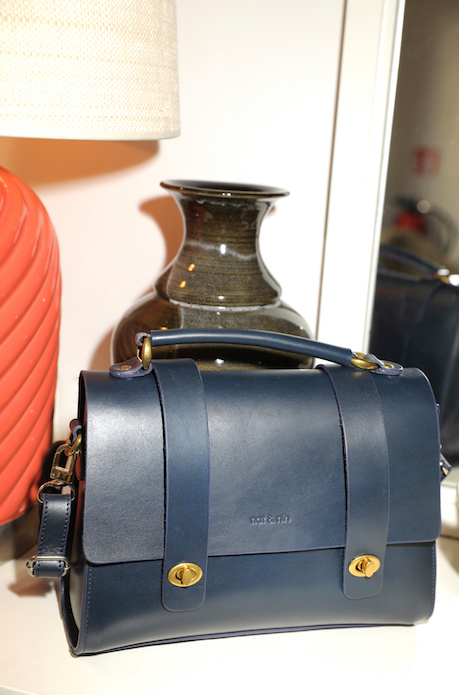 Today, their bags are the wardrobe staples of many a Parisian’s wardrobe. We are passionate about working with leather, the elegance of vintage Parisian style, the vibrancy of color, and the joy of carrying a handbag that truly complements you. We are relatable, kind, fun and chic—so Nat & Nin is, too. As second-generation leather artisans, we know how to select the finest Italian leathers to bring our designs to life. We live in Paris and are inspired by the visual richness that surrounds us. We love designing the little details that make your outfit, make you smile, make your day easier. We lead busy lives, so we create bags that live, support and move with you… bags that feel like a best friend (who just happens to be Parisian and very chic). Bold colors. A pop of red is always chic. Paris Fashion Week, a must every season! Flea market finds in Paris for design inspiration. Our favorites include the Saint Ouen market. Afternoon breaks at Le Café de Flore in Paris, where countless writers (including Simone de Beauvoir) found inspiration in the 1930’s. It’s the perfect spot to watch the everyday happenings of Parisians… it’s quite the show! The restaurant, Le Perchoir, which literally means “perch” as it unveils a breathtaking view of Paris. Ladies, if you want to meet a handsome and très cool Parisian: run, don’t walk! Family vacations in Brittany, with its expansive beaches, walking trails along the coastline, and crisp air.